Why The Secret Doctrine Q. & A.
Wizards Bookshelf, USA, 2003, 197 pp. What actually reincarnates in us? What is it that becomes an Initiate? What is the difference between prana and animal magnetism? Is there a limit to the number of incarnations in one Manvantara? Questions lead us to study. They make us search. They widen our attention and stimulate our intuition. As time passes and we slowly grow in wisdom, we are able to give better answers to the same old, fundamental questions. These are some of the reasons why philosophical questions are often more important than the answers we can provide them, and perhaps in some cases they are more significant than our present, limited understanding of the answers given by sages. The ancient practice of questions and answers – intimately connected to the Socratic and Platonic methods of teaching – was employed in the 19th century by the Adept-Teachers that exchanged letters with lay disciples, as we can see in the “Mahatma Letters to A.P. Sinnett”. It was widely adopted by H.P. Blavatsky in “The Key to Theosophy”, in her “Conversations on Occultism” and other texts. 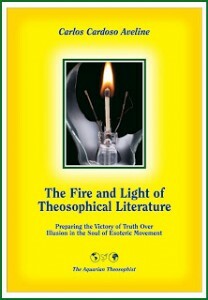 The method can also be seen in the first volumes of the magazine “The Theosophist”, when HPB was its editor. Following the same, well-established tradition, Geoffrey Barborka published between 1964 and 1980, in the bi-monthly periodical “The Canadian Theosophist”, a series of questions and answers about the book “The Secret Doctrine”, by H.P.B. In 2003, those 275 stimulating questions and answers were published in a hardcover book by Wizards Bookshelf, California. The clear, documented answers make a long and illuminating conversation on the eternal truth and on the complex interaction linking each man to the universe. In order to sense the book’s flavour, it is worthwhile taking a look, for instance, at the discussion about planetary spirits and the seven chief or sacred Planets, on p. 25. Resulting from decades of study and work, “Secret Doctrine Questions & Answers” goes beyond the important tasks of explaining difficult passages in HPB’s work, inviting us to better study the Secret Doctrine or giving a general view of the esoteric philosophy. Helpful to both new and old students, this inspiring book offers us a fluent, fascinating dialogue on the law of the universe, on the ways of its eternal life and – last but not least – on the process and cycles of each man’s evolution. An initial version of the above article was published at “The Aquarian Theosophist”, in its Special Issue of August 2005, pp. 8-10. Original title: “A Conversation on the Eternal Truth”.